Tow Truck Insurance Akron – Quotes & Coverage Available Seven Days per Week. If you need coverage for Tow Truck Insurance in Akron Ohio or the surrounding areas you have found the right website! Pathway Insurance is a leading independent agency offering a super competitive program for Tow Truck Insurance in Ohio, Michigan, Indiana, Minnesota, Kentucky, Tennessee, Georgia, and Florida. Call 1-800-998-0662 to speak with a license agent right now! Agents are available by telephone Monday through Friday 9 AM to 5:30 PM. Online agents are available seven days per week when you click on: Tow Truck Insurance Akron Ohio. 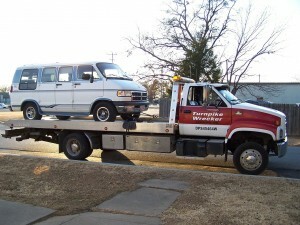 Important Details You Should Not Overlook When Shopping for Akron Ohio Tow Truck Insurance. Missing important coverage from your tow truck insurance policy can spell disaster for you when you file a claim for coverage you lack. Example: Missing On Hook Coverage. What is On Hook Coverage? “We” will defend any lawsuit for damages payable under this Endorsement or settle any claim for those damages as “we” think appropriate. Claims Example: Fabulous Fred’s Towing Service was founded by Fred Johnston. He scraped together enough money in combination with a loan from a local finance company to buy his first tow truck and he is ready for business. Fred now needs to buy insurance for his first tow truck. He’s quite shocked to learn how much it truly costs for tow truck insurance in Akron Ohio. Fred decides to buy the cheapest insurance option possible and he’s in business. About three weeks later Fred picks up Daphne Stefansson’s broken down Ford truck to transport it to a local garage. He hooks up Daphne’s car and away he travels south on 71. A passing motorist going about 30 miles over the posted speed limit in a BMW cuts in front of Fred and he slams on his brakes to avoid smashing the BMW flat. With the sudden stop Daphne’s truck comes loose and the bumper is torn off and obviously needs to be replaced. Daphne expects Fred to pay the $3,000 for a new bumper. Fred turns a claim into his insurance company and they turn him down flat because he did not purchase On Hook Coverage. Fred does his best to dodge all of Daphne’s telephone calls until she files a lawsuit against him in Small Claims Court and Fred is forced to pay $3000 out-of-pocket. It’s important to purchase the needed coverage to cover claims that occur. Tow Truck Insurance Akron – Call Today! Let us shop the market for you to find the best Ohio Tow Truck Insurance Quotes.